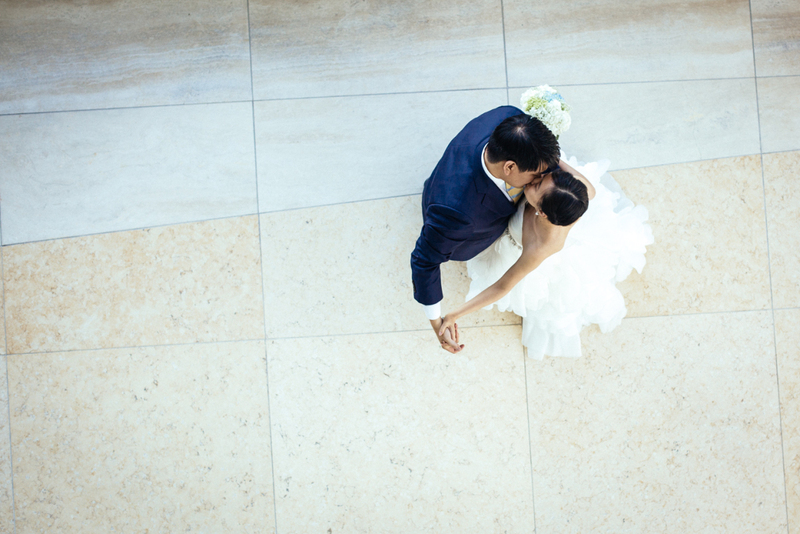 It was truly an intimate, family affair for Diana and Danny’s wedding. Months of preparation went into creating a unique evening that featured over-sized lawn games like jenga and battleship, a smattering of dancing, and a generous meal. There was no Etsy here, as Diana herself is already an Etsy vendor. From the invitations, to the website, to the games, each aspect was hand-made, and thoughtfully constructed. For this labor of love, friends and family drove and flew in from across the world – some of Diana’s family even visited America for the first time! It was the celebration and reunion they had hoped it to be. JG Domestic‘s family-style meal and close quarters allowed the evening to feel less like a production and more like the best dinner party ever. After the ceremony the atrium was converted into a lounge filled with games where people took turns at corn hole and rockem sockem as they talked into the night. Diana and Danny wound their way through guests, getting a chance to leisurely catch up with each one and finished up the evening with a final toast.